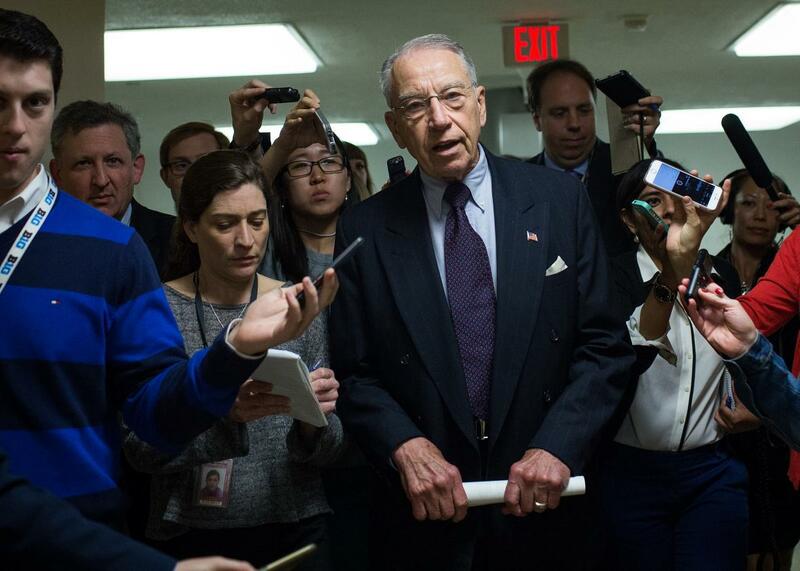 Grassley open to lame duck Merrick Garland Senate hearings. Shortly after Justice Antonin Scalia died unexpected in February, Senate Republicans announced plans to block whomever President Barack Obama nominated to fill the vacancy. “It only makes sense,” Senate Judiciary Chairman Chuck Grassley wrote just hours after Scalia’s death, “that we defer to the American people who will elect a new president to select the next Supreme Court Justice.” With a Hillary Clinton presidency looming, however, Grassley has changed his mind—conceding on Monday that he might allow hearing for Obama nominee Merrick Garland during the post-election lame duck session. “If we have the election, and there was a majority of the Senate changed their mind about doing it in the lame duck, as opposed to January 20, I don’t feel that I could stand in the way of that,” Grassley told an audience at the Sioux City Rotary Club. This position is very interesting, because it willfully shreds the already tenuous pretext that the GOP’s Supreme Court obstructionism was about principle, not politics. For months, Republicans have parroted McConnell’s stance, best expressed by Sen. John Cornyn, that “the American people need to decide who is going to make this appointment rather than a lame-duck president.” But it appears that this articulation of the GOP platform was incomplete. A better formulation of the Republicans’ stance might be this: The American people should decide who appoints the next Supreme Court justice—unless the American people elect Hillary Clinton. In that case, the American people should be disregarded, and the Senate should quickly confirm Garland to prevent the American people’s actual choice from nominating her own preferred candidate. Come November, though, the American people will still make a number of critical decisions. Chief among them, according to current polling: booting Republicans out of Senate leadership. *Correction, Aug. 30, 2016: This post originally misspelled Sen. Orrin Hatch’s first name.